Supply chain management is trending when it comes to 2019’s hottest job titles. Kettering University’s Supply Chain Master’s program has quickly risen to the top 20 programs in the country in two different online rankings! The Kettering Supply Chain Management Master’s degree online rankings include earning the #17 spot on OnlineMasters.com’s top programs in the industry list. OnlineMasters.com is a trusted source for unbiased college rankings. The company’s research identifies the top programs in the nation based on curriculum quality, program flexibility, affordability, and graduate outcomes. Onlinemasters.com uses a combination of data including interviews with students and alumni, conversations with industry executives, and the most recent data from the Integrated Postsecondary Education Data System (IPEDS) and statistical data from the National Center for Education Statistics. This helps to ensure employers and students understand the value and prestige of a Masters in Supply Chain Management from Kettering University. Why earn a master’s in supply chain management? “Kettering University’s online supply chain management program may be a niche program, but it packs a powerful punch. Students who finish this program will be in positions that impact how goods and services are delivered all over the world,” Wallace explained. Research shows supply chain managers’ average salary is between $85K and $108K. An advanced degree offers the potential for career advancement and increased salaries. Graduates can look to level-up to job titles such as operations manager, logistics manager, transportation and warehouse manager, and C-suite roles in supply chain and logistics. What the Kettering online rankings do not tell you is about the unique experience offered by the university. Kettering uses a "Learn Today-Use Tomorrow" model empowering students to put their learning to use quickly in their lives. Students work with an experienced professional advisor who not only guides them through the admissions process but stays with students throughout their program. Students rely on their advisors for everything from simple questions to scheduling to program specifics. Students can feel confident they will be supported throughout their graduate experience. Kettering has long been a leader in cooperative education and continues to maintain more than 600 corporate partnerships. Nearly 1,000 Kettering University graduates are C-level executives with major companies. Kettering earned the Best in the Midwest designation by The Princeton Review. The accolades for Kettering online rankings are continuing to stack up. 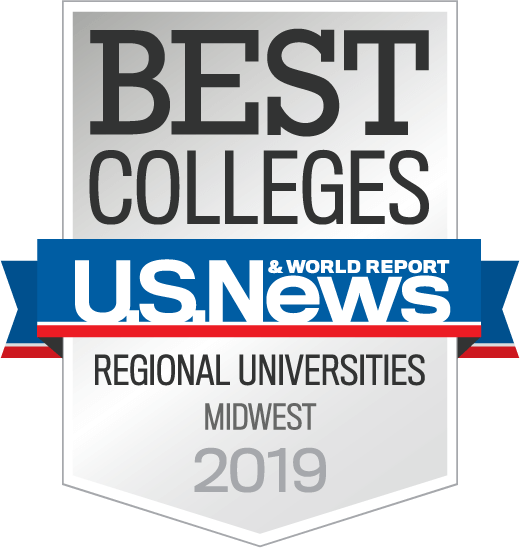 Kettering University’s undergraduate programs are ranked as one the best colleges for engineering programs 2019 in U.S. News & World Report, it’s received ACBSP global business accreditation for both graduate and undergraduate programs, and was named one of U.S. News & World Report's best regional universities in the Midwest 2019. Ready to experience what it means to be Kettering Built? Click here for more information on the Kettering Masters Supply Chain Management Program.